Anyone attempting to learn Bulgarian (or Russian or Kazakh or Mongolian, for that matter) might well ask—as I do—why the Bulgarians thought they needed a new alphabet when they could have just used one of the already existing alphabets to write their language. I can never get quite a satisfactory answer, but of course it’s a moot point after over a millennium of Cyrillic use. So important do Bulgarians consider their alphabet that they celebrate its creation as part of Day of the Alphabet, Culture and Education each May 24. It’s a very big deal. 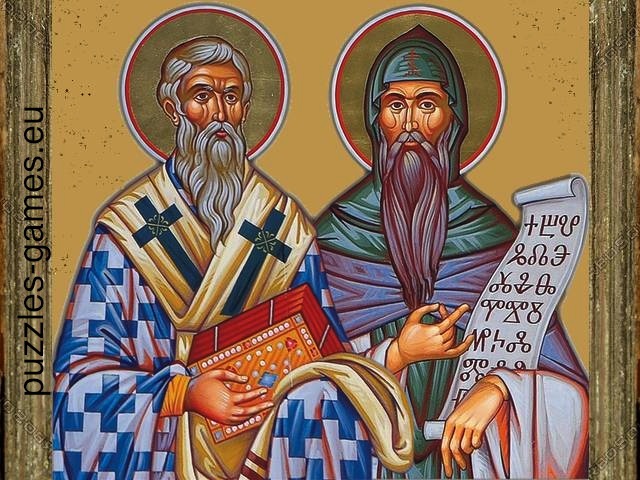 It’s hard to overestimate the modern-day presence of brothers Saints Cyril and Methodius. Institutions from the Bulgarian national library to the oldest university in Sofia to the weekend Bulgarian school in Minnesota are named for them. Cyril, the younger brother, was the superior linguist so his name was given to the alphabet used today. The brothers were missionaries to the Slavic peoples and created the Glagolitic alphabet to ease translation of the Bible into Old Church Slavonic—not an easy sell to Rome which insisted only Greek, Latin and Hebrew could be used for religious and cultural purposes. This left the majority of people unable to understand church services, let alone read the limited books available. The brothers were called to Rome to defend themselves, but they went on the offensive. Cyril asked “And are you not ashamed to recognize only three languages, and to ordain that all other peoples and tribes shall be blind and deaf?” Pope Hadrian II answered by permitting the brothers to use Old Slavonic—and by extension the alphabet used to transcribe it—in the liturgy. That was nearly 1100 years earlier than the 1962 Vatican Council approved the use of the vernacular for everybody else. After the brothers died, Pope Stephen V revoked permission for Old Slavonic’s use and thereby added linguistics to the pressures mounting towards schism between Western Rome and Eastern Byzantium. The Cyrillic alphabet is actually a visually completely different alphabet than the Glagolitic preceding it. But the development of an alphabet specifically for Slavic-speaking peoples made possible the creation of Cyrillic and so the alphabet’s name is an homage to them. It has 30 letters and can be easily learned. Each letter has just one sound and no two letters are redundant. There are none of the complications with English vowels that have both long and short sounds. I’ll concede that Bulgarian is not the most difficult Slavic language to learn. Russian, the most widely spoken of the Slavic languages, is far harder. The Russian version of the Cyrillic alphabet even has three letters more than the Bulgarian, and then too Russian uses the infamous case declension that torments students of Russian worldwide. Still there are plenty of aspects of Bulgarian vocabulary and grammar that continue to torment me. For example, Bulgarian has three genders: masculine, feminine and neuter. While my brain has absorbed most noun genders as a process of brute memorization, there are some words that continue to trip me up. Reflexively I think of a boy as male and a girl as female, but in Bulgarian these nouns are “neutral” gender. Why is the pronoun “it” the same for the masculine and neuter nouns it substitutes, but different for the female? Why do you have to count masculine nouns altogether differently than female and neuter? And worse, why do you have to count male nouns referring to people (student, teacher, doctor, lawyer, etc.) differently depending on whether you are referring to a specific number of them, a more general many of them, or even a general several of them. Nouns and their genders are a relative walk in the park, however, compared to Bulgarian verbs. There are two versions of nearly all verbs, depending on whether you are conjugating them as an action in progress or an action that has an end. Unclear? Precisely. And while English uses phrasal verbs, that is verbs modified by adding an adverb or preposition (e.g., write, write out, write down, start to write), Bulgarian verbs add prefixes (pisha, prepisha. napisha, zapisha). That adds to the memorization chore; at least it does for me. I do realize that Bulgarians are equally tasked with approaching English verbs—I have been told many times that the verb “to get” is the hardest verb to get in the English language. 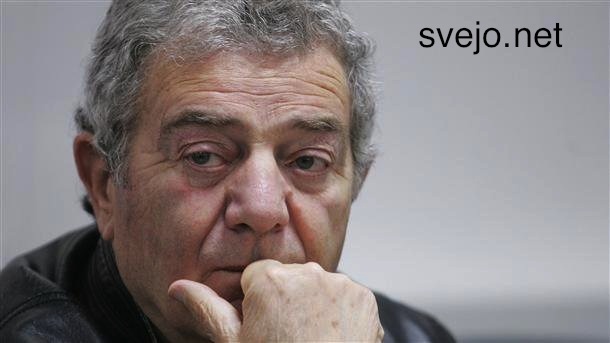 But at least one prominent Bulgarian person of letters seems to be sympathetic to my plight. Tzanev goes on to conjugate the verb “to drink” in all its possible forms and in fact ends up with 36 ways.